There are strict guidelines that a law enforcement agent must follow when stopping a driver on suspicion of DUI. Even before you are pulled over, the officer must have probable cause to believe that a crime is being committed. During the stop, the officer must collect DUI evidence before a drunk-driving arrest can be made. During a DUI stop, the officer will look for clues in behavior and appearance to determine whether the driver is intoxicated. Most drivers are not aware that they do not have to answer any questions or make a statement to the officer if pulled over on suspicion of drunk-driving. In fact, I recommend that you exercise your constitutional right to remain silence. Any incriminating statements made may be used against you later in court. If stopped, you should only give the officer your name, ID, and insurance card. You should politely decline to answer any other questions before speaking to an attorney. As an experienced Washington State DUI attorney, I always look to challenge the lawfulness of the stop. If probable cause for the stop is questionable, the case may be dismissed or the charge reduced through negotiation. Field sobriety tests (FSTs) are also used as a way to collect DUI evidence against you. Keep in mind that these tests are voluntary and you are not legally required to take them. In fact, I would advise you to politely decline to take the field sobriety tests. This is where an officer asks you to follow a stimulus (such as a tip of a pen or his finger) with your eyes. Here, the officer is looking for is the jerking of the eyeball; jerking of the eyeball at rest or while following the stimulus. The good news is that intoxication is not the only cause of Nystagmus. Things such as head injuries, rotation of the body, temperature differences from one ear to the other, a foreign fluid in the blood, objects moving into and out of sight, traffic driving by, strobe lights, tired eyes, brain tumors, brain damage, and inner ear disorders, to name a few, also cause Nystagmus. If the officer improperly administered your tests, or if they were not done voluntarily, I will cross-examine the officer. An officer’s sloppy lack of attention to proper procedures and failure to conduct the tests in the required manner can seriously undermine the officer’s credibility and could lead to an acquittal, dismissal or a reduced charge. Even if the officer properly administered these tests and told you that they were voluntary, physical conditions that affect your brain, eyes or parts of your body that involve standing or walking may negatively affect your performance on these tests, whether you have consumed alcohol or not. Typically, the PBT is given to drivers just prior to the arrest. The PBT is a voluntary test and results are not admissible at trial. The officers administer the PBT in order to establish probable cause for your arrest. Keep in mind, that if the officer did not have probable cause for your arrest, your case is likely to get dismissed. I recommend that you not refuse the BAC test because the penalties for a refusal are stiffer than if you had taken the test and failed. 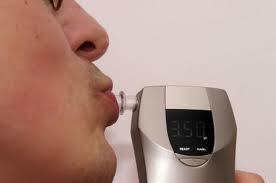 Under the Washington laws, the implied consent law presumes your consent to taking the breath test. If you refuse the test, your license will be revoked for at least one year if you do not prevail at the administrative licensing hearing and for at least two years if you do not prevail in court. Generally, this test is done at the police station. If you decide to take the test and your BAC results are 0.08 or more (0.02 for those under 21 years of age and 0.04 for commercial drivers), your license will be suspended for at least 90 days if you do not prevail at the licensing hearing and in court. The officer must perform this test according to a number of standards required by law. Therefore, it is crucial to have an attorney who knows what issues to look for in order to suppress the BAC results. First, the officer administering the test must be certified to operate the BAC machine. Second, before administering the test, the officer must check your mouth to ensure it contains no foreign substances. After checking your mouth, the officer must observe you for fifteen minutes to ensure that you did not put anything in your mouth or vomit. There are a number of other standards that the officer must follow under the laws in order for the test results to be valid. For example, the officer must also give you the Miranda Warnings (we have all seen it on TV, “you have the right to remain silent. Anything you say can and will…”); if there is an invalid “blow,” the officer must repeat the mouth check and conduct an additional 15-minute wait period. In addition, the longer and/or harder you blow into the machine, the higher your BAC results will be. There are many other issues when it comes to BAC machines and I know what to look for in order to get your BAC results suppressed so that the prosecutor cannot use them against you at trial. DUI arrests usually occur at night or in early morning and for many drivers it is their first arrest. Therefore, because your arrest occurred under tremendous stress and while you were not in the right state of mind, you will forget details that may seem insignificant to you but may be extremely important to your defense. Therefore, you should call me as soon as possible so I could get your version of the incident while it is still fresh in your mind.